Hi guys! I hope you all are doing great! Sorry for no posts last week... I ended up catching a cold or something, and spent the week in a cold medicine fog. I'm doing much better this week! 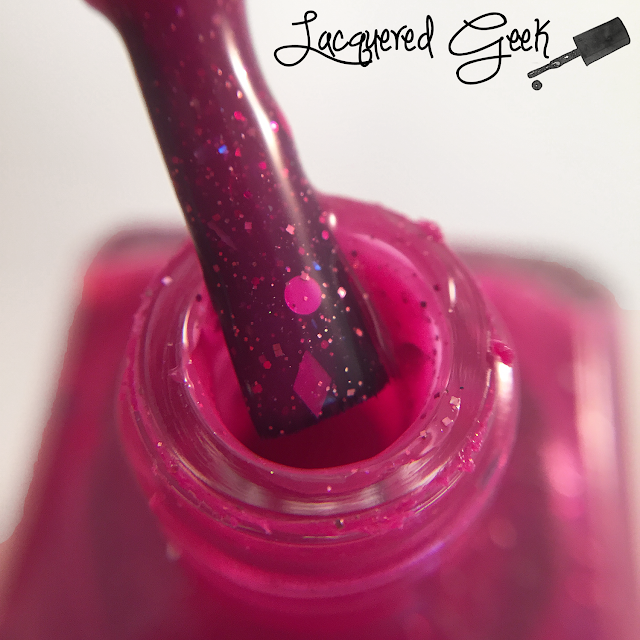 Today I want to share Philly Loves Lacquer's contribution to the February Beauty Quartet Box. I know it's been awhile since it came out, but the latest Beauty Quartet box launches today so I thought it would be a good time to share a polish from a previous box! The Best Day of the Year is a glittery fuchsia jelly that has various shaped glitters in red, pink, dark pink, and magenta. There's so much to love in this polish. Abundant shimmer, diamond shapes, big circles, and squares; it's seriously a fun polish! Despite all the glitter in the polish, the formula of the polish was pretty fantastic. I didn't have to fish for any of the glitters, even the big circles. The polish dried semi-matte, so you'll need a top coat for a shiny look. 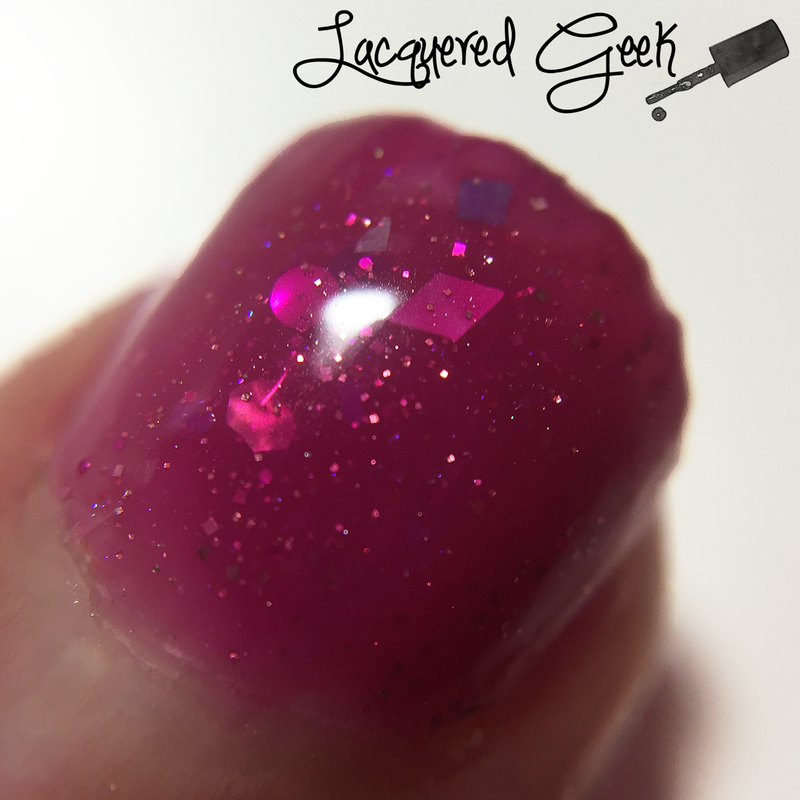 I used three thin coats and a quick drying top coat for these photos. The latest Beauty Quartet box is going to be a doozy! In celebration of the one year anniversary of the box, the October box is going to have eight full-sized polishes instead of the typical four polishes! You can check out photos of the October polishes on the Philly Loves Lacquer Facebook page, and you can purchase the box starting on September 15th at www.phillyloveslacquer.com. Have you purchased a Beauty Quartet box in the past? Do you have a favorite polish from one of the boxes? this color is just lovely. I love the squishy-ness of this! So pretty! Jellies are wonderful! Love the color of this one! I don't think I have seen it swatched too often either. It's such a beauty though. What a pretty pink! I love this shade! This is so pretty on you!! I love the squishy! !